A lot of people think my job must be great because I get to sit around and read books all day. Which isn’t what I do at all, but that myth still persists. One of the things I definitely do is work with a lot of incredible people. My colleagues are smart, caring and committed to giving the best health care. But often we don’t get to dig deeper and find out more about their stories. Reading, especially the long form novel or memoir, allows us to dig deeper and see the humanity behind a person’s story. Dr. Damon Dagnone is an associate professor of emergency medicine here at Queen’s. Our paths don’t cross often, I’m the nursing librarian so I see his students sometimes, but other than that we don’t get much chance to interact. But I certainly knew of him. I knew he had lost his son Callum not too long before my own boys died. I remember taking my daughter to the emergency room one evening and he happened to be the doctor on call. She had mild frostbite in her fingers. He reassured me I did the right thing in having her checked out, even if it was a minor issue that could easily be treated at home. Perhaps he understood how a mother who had previously lost a child could so easily leap to worst-case scenarios. After hearing he had published a memoir, Finding Our Way Home: A Family’s Story of Life, Love, and Loss, describing his own journey through the pain of Callum’s diagnosis and treatment, the unspeakable grief of his death and how his family has recovered, I wanted to review it for us at Still Standing. Reading a memoir that may bear similarities to our own journey can be hard, but also deeply cathartic. Knowing that an emergency room doctor himself struggled with his son’s medical appointments makes it easier to forgive our own sense of losing control. There are so few stories of male grief, and so few acknowledgments of the pain they go through. We need more models for men to follow in their grief journey. There are no surprise endings in Damon’s story. We know beforehand that this will be a sad story, and I read it with Kleenex at hand. There were plenty of ugly cries in reading this. I grappled with the raw emotions of fresh grief and remembered what that felt like. I was glad to be reading it quietly at home, snuggled in bed, and not in a public place. But it was also unputdownable! We know that Callum will not survive his cancer. But we also know that Damon has managed to find a new life on the other side of grief. It has likely made him a more compassionate doctor, and a better father and husband as he navigates his way through life after Callum. He does not deny that it is a struggle. We certainly get a sense that it takes years to recover from such a profound loss. His honesty in reflecting these truths is critical for those who find themselves in the immediate aftermath of their child’s death. 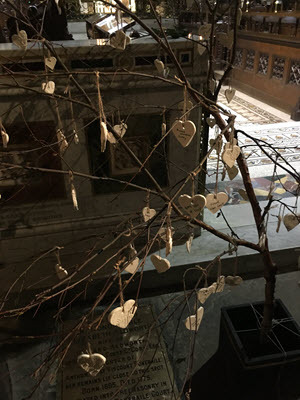 Reading Damon’s story gives us that sense of journey: that we can and will mourn our children for a long time, but still function and grow into our new role as bereaved parents. Just as I’m stereotyped as someone who reads a lot, men are often stereotyped as being strong and silent. They don’t talk about their feelings, don’t talk about grief or sadness or death. For many people, writing is a better way to express themselves than talking. It provides them with a healthy way to work through their emotions. If you know and love one of those strong, silent types, maybe give them this book, together with a blank notebook for writing down their own thoughts. Whether it helps or not, who can say? But I promise reading this book as a bereaved parent will make you feel a little less alone. A couple weeks ago, we shared an infographic on our Facebook page. There are more details on safe sleep during pregnancy here, and I wanted to share it with you. It has all the full references, plus more details on sleeping well in every trimester. Thanks to our friends at SleepSmooth.com for providing this graphic. When grieving is exhausting, when it has been long enough that everyone has expected you to “move on”, when even you are tired of grieving, it can be hard to sustain the strength to read a book. But sometimes, there can be nothing better than diving into someone else’s story, as a way of getting outside your own grief. Well, pull up a comfy chair and a cup of tea, Christy Wopat‘s book is like a great conversation with a good friend. If you’ve had a stillbirth or early neonatal loss, you’ll spend the whole time nodding in agreement. If you haven’t, you’ll be taken on an emotional journey through the resiliency of love. A mother’s love is like no other, even when there’s no one to “mother”. Like me, Christy has lost twins and later went on to have two more children. Almost a Mother chronicles her loss story, as well as how she adjusted to the new normal of having children to raise. For those of us who have been through this, her book provides a great touchstone on familiar emotions. And her sense of humour makes reading it a joy, not a drag. Yes, I’ll admit to shedding a few tears, but perhaps both because I’ve reached a place in my grief where this is comfortable, they were the ‘good’ kind of tears! The ones that make you feel so much better after they’ve been released. I laughed too. Knowing how so many of us, in so many different scenarios, have still had to endure the same indignities is comforting. If you’re familiar with Christy’s work on Still Standing Magazine, you’ll know what tone she sets in her writing, which is warm and sensitive, as well as funny. But perhaps the bigger question is why would you want to read this book if you haven’t had a loss? In many ways, this is actually an easier question to answer! Almost a Mother opens a door to this world and does so in a way that is gentle and humorous. Despite harsh criticism for those who don’t understand the pain of this grief, Christy allows you to feel empathy on all sides. It’s the kind of solid advice you get from someone who’s known you for years. I can see this book being given to a friend, who wants desperately to understand but doesn’t have the experience to draw from. When you don’t have the words, this might be a great way to subtly give them the hint! I’ve been privileged to work with such great writers at Still Standing. They’ve helped me through my grief, improved my writing, and got me thinking about the experience of losing a child in whole new ways. I’ve seen the immense diversity of our community and despite it all, amazing commonalities between us. Almost a Mother provides Christy’s experience, and the unique relationship she has with her children Sophie and Aiden is a beautiful thing to read. Chances are, sometime over the next few weeks, you have a social occasion coming up. The office holiday party. Dinner at Aunt Lucy’s, complete with your cousin’s jerky husband. A party at a friend’s house, where three of the other guests are pregnant. Oh, how I hate the holidays. Even if most of the people you see are kind, caring, loving people – People who know that your grief is still raw, that this is a difficult time, that you’re still hurting – it seems that in every gathering there’s that one person who just doesn’t get it! Someone who can’t figure out why hearing details about Jessica’s baby shower is killing you. Someone who thinks you should get in ‘the holiday spirit’ and put on a smile! Someone who you probably secretly want to smack right now. It’s ok! Here’s your handy coping guide for dealing with that person for the next few weeks. Christmas is hard enough. Always have an escape route. This is good advice for any scenario, but even if you do decide to go, there’s no reason you have to stay! If anyone gets up in your business about how you’re coping, why you’re still grieving or whether you even should be grieving, just flee like the place is on fire. If it is the host of the party giving you a hard time, shout out that you think you have food poisoning as you run from the room. When someone gives you a metaphorical punch in the gut, it is so hard to come up with a sarcastic response right in the moment. I usually find my best sarcastic responses come to me around 4:30 in the morning, sometimes as much as 3 years after the conversation even happened! We know all the clichés insensitive jerks like to say to someone whose child has died, so prepare a few good lines in advance. But in all seriousness, it is best to only say them in your inside-the-head voice. Especially at the office holiday party. But be sure to post them here later, because other grieving moms could use a laugh! Your best gift is to yourself – be kind. Holidays have a lot of traditions and it seems like if we’re not keeping up, we’re letting someone down. Christmas will come again next year. Next year will feel different. No, your baby still won’t be here, but you won’t be grieving in exactly the same way a year from now. Be kind to yourself by giving yourself permission to be sad, or angry, or to feel nothing at all. All those feelings are okay. No matter what anyone else says about them. Researchers are always trying to find out how to prevent stillbirth. As a result, new findings mean we have to change how we think about our losses. I was just at the International Stillbirth Alliance conference and new research has come out that changes my thinking on the death of my boys. Several different researchers, doing very different types of research, all came up with the same conclusion: going to sleep on your back increases the risk of stillbirth. Since then, I have been racking my brain as to whether I may have slept on my back that night. With the passage of time, there’s no way I could possibly remember, although I do remember I slept well. So how can I cope with new information, with the possibility that it may have been something I did that caused my boys to die? It’s something I’ve really been grappling with. I mean, obviously if I had known the risks, I would never have done it right? Still, part of me thinks that isn’t true. After all, until it happens to you, you really don’t think stillbirth is something that could happen. Yes, you know the statistics. I certainly did. I knew that twins were riskier, especially monozygotic twins like my boys. But it was always something to put in the back of your mind as something that happens to other people. You know, those ones who take real chances. Those ones who don’t love their babies as much as we do. Knowing statistics and acting on them still requires you to believe that you might be one of the unlucky ones. And we all take chances every day. I know that driving a car is risky, but I still do it. If we always thought we were going to be the unlucky ones, we’d be paralyzed by fear all the time, and that’s no way to live. So a bit more about the research: A couple years ago, some researchers in New Zealand wondered if something similar was going on with stillbirth as with SIDS. Was it possible that when a pregnant woman lay on her back, the blood flow was restricted to her placenta, causing her baby to not get enough oxygen? So they did something called a case-control study, a common research type for this kind of thing, where they compare women who’ve had a stillbirth (the cases) to women who haven’t (the controls). What they found was that women who had a stillbirth were far more likely to have slept on their backs the night they lost their baby than women who did not have a stillbirth. But one study, even a reasonably large case-control study, is not enough proof. Researchers need to be replicate studies in order to be certain, otherwise we could potentially cause more harm. That’s what the three studies presented at ISA hoped to do. Two of these are also done in New Zealand, from some of the same researchers, and they hoped to show physiologically how this might work. Ten healthy pregnant women were scanned using an MRI. The researchers wanted to know if they could see changes in blood flow depending how the woman was lying down. What they found was that that cardiac output (how efficiently the heart pumps blood) was the same in both positions. But when women were lying on their backs, the blood flow and diameter of the inferior vena cava were reduced. This would affect how blood flows back to the heart from the body. The second group asked 30 pregnant women to spend the night in a sleep lab. They monitored their breathing and position while sleeping to see if there was a relationship between the quality of their breathing and their position. None of the women met the criteria for sleep apnea. However, the women didn’t breathe in as deeply when they were lying on their backs. Both of these studies show that it might be true that babies are not getting enough oxygen if mom is sleeping on her back. A third set of researchers, in the UK, interviewed over 1000 women in another case-control study. They were asked about their sleep practices at three points in time. All the women were asked how they slept before and during pregnancy. Women who had a stillbirth were also asked how they slept the night before their baby died. Those who did not were asked how they slept the night before the interview. Women who said they had gone to sleep on their backs the night before were twice as likely to have had a stillbirth. This study is problematic for the same reasons I can’t remember what position I was in when my sons’ died (guess what – your memory is horrible – it’s human nature!). Taken together with the other three studies, it starts to become clearer that sleeping on your back might not be a good idea when pregnant. So, if you’re pregnant again after your loss – don’t sleep on your back! Worried about whether your own sleep position might have contributed to your baby’s death? I am. But, please remember that you did the best you could. You deserve to forgive yourself. I’m still working on it. This post first appeared at Still Standing Magazine. I’m coming up on an important milestone. And I’m going to be spending it in a heartbreaking place. Saturday, September 23rd will mark ten years since Nate and Sam died. 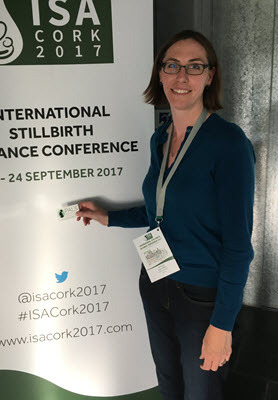 That very day, I’ll be at the International Stillbirth Alliance conference in Cork, Ireland. 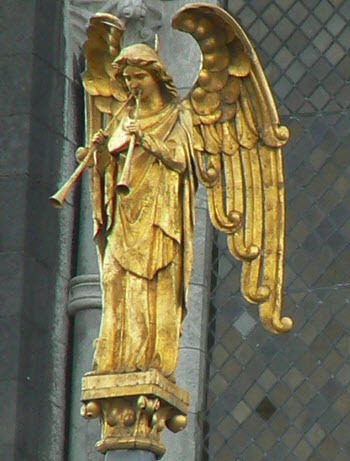 On the Saturday night, there will be a memorial service for all our babies gone too soon, at the beautiful St Fin Barre Cathedral. I can’t quite say I’m looking forward to it, although if I am to spend it anywhere, I can’t think of any place more wonderful. I’ll be surrounded by my sisters in sorrow. There will be plenty of other people around who understand. But they’re also all strangers. I went to the conference in 2015, when it was in Vancouver. There I attended as a parent, listening to the talks and learning about research into stillbirth. This time I’m going as a researcher, and will be presenting work I’ve done on changing the language around miscarriage (to miscarriage, instead of spontaneous abortion, which I’ve written about before). It will be a whole different experience, and I’m not sure how it’s going to go. I’m intimidated by researchers who have specialized in this area, people who have MDs and PhDs after their names! I’m not a stranger to research, it is my job after all, but this is a whole other element. Over time, researchers tend to get to know one another well when they work in the same field. You see one another at the same conferences, write papers together, give feedback on one another’s work. I’m not part of that at all. I move in a completely different circle. Even though I’ve written a book about pregnancy after a loss, Joy at the End of the Rainbow, I’m terrified of negative feedback! And I’m doing it on one of the most emotionally charged days of my life. Will I be able to hold it together and be professional? Will I be taken seriously? My husband will be home, with our living children. We won’t be together to bake a cake, to honour our sons together as we usually do. How will he manage without me? How will I manage without him? I’m always conscious of writing on Still Standing Magazine about my children who came afterwards. Of my rainbow babies. About half of women who have a stillbirth go on to have another child. But of course, not everyone does. And Still Standing is for all of us who are grieving a child, whether the child was lost in utero or as an adult. So I’m writing this post knowing it will hurt so many of you, but also so I can be true to where I’m at, coming close to 10 years since my twins have died. Trying to get pregnant after losing a child is hard. Emotionally hard, not just physically hard, although for me it was that too. Knowing when it is time to stop trying is hard. I think for many women after a loss, there is always the sense that someone is missing. Even though we know another child won’t replace the one who came before, there is always the sense that there’s room for another. 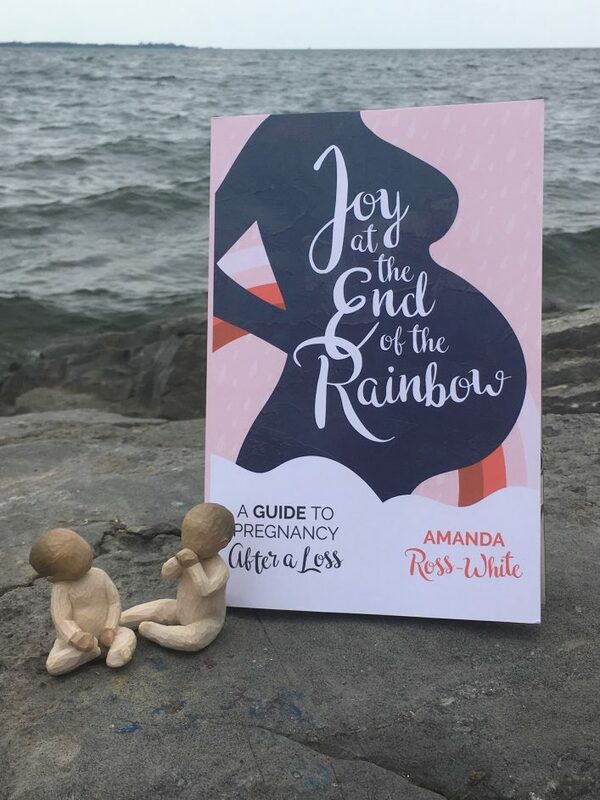 Many of these complex emotions are what I was trying to get at when I wrote Joy at the End of the Rainbow: A Guide to Pregnancy After a Loss. When I was struggling to get pregnant after the twins died, when I was having one miscarriage after the other, I found myself angry and frustrated at existing pregnancy advice books and websites. It seemed every single one of them assumed I was a first time mother! And, naturally, none of them address my difficult emotions around being pregnant and having another baby. I didn’t want to be pregnant! I wanted to be done, with a baby in my arms. It was terrifying being in the ultrasound room, because I didn’t want to find out I had lost another baby. Yet at the same time, I was desperate to see so I could see for myself that this baby had a beating heart! Why did all the pregnancy guides assume I was going to be happy? And would I want to bring friends and family to the event, or have a “gender reveal” party? UGH! So feeling frustrated, I wrote a book of my own. I interviewed six fabulous, courageous women throughout their own pregnancies so I could get a broader range of experiences. And I ensured the medical information was valid and current and the best available research on pregnancy after a loss. I hope you like it. And if you like it, I hope you’ll recommend it to a friend, or your doctor, midwife or nurse.